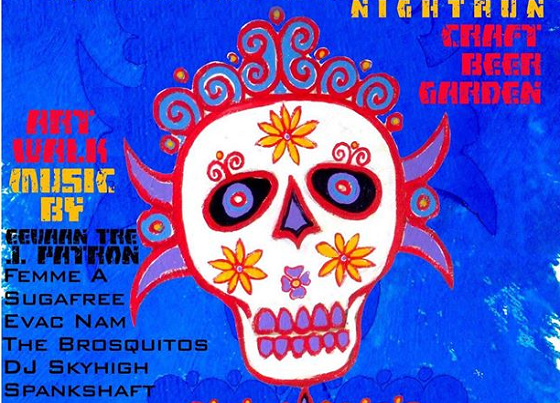 Come to the historic pueblo viejo district of Coachella, CA for a Day of the Dead 5k run like no other! Coachella, CA: In honor of a passed loved one, join hundreds of runners and thousands of spectators from throughout the country at this unique health and culture event held during typically perfect Southern California fall weather. Heading into its 4th annual show, Run with Los Muertos continues to build its case as one of the most unique, inspiring, art-filled, and entertaining 5k night runs in the nation. From the pre, during, and post 5k art viewing opportunities, the live music, neon lights, burning candles, painted faces, on course entertainment, to the Los Muertos procession, the 4th Annual Run with Los Muertos promises to be a fun and fulfilling Saturday night. Fast course through historic Downtown Coachella. Fee includes t-shirt and post run beverage. *T-shirt guaranteed for per-registered runners only. Awards for top 3 in each age/team category. First 150 to register will have the name of their loved one added to event t-shirt. 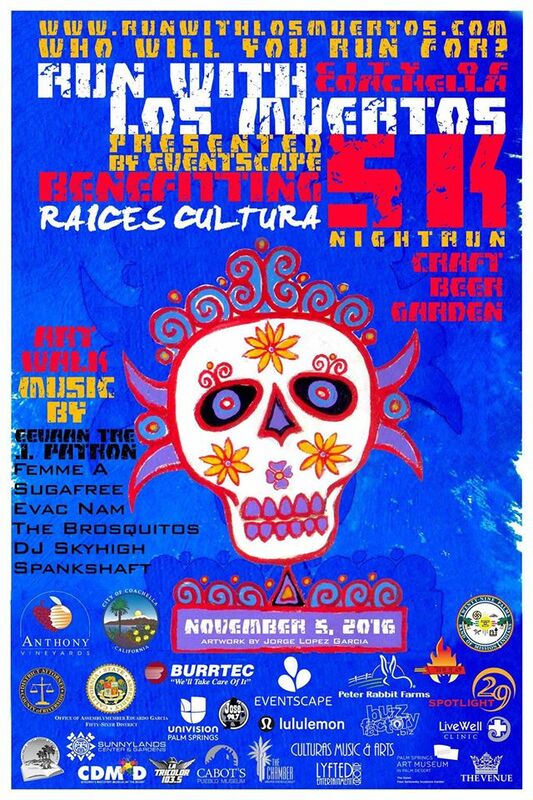 The RUN WITH LOS MUERTOS team looks forward to celebrating with you in downtown Coachella, California on November 5, 2016. Live Music, Art Show, & Beer Garden. For more information on the event or to purchase tickets please visit RunWithLosMuertos.com.